Being on the scene of a car accident, especially if you witnessed the crash, can be a harrowing experience. Not only can what you see be scaring, but it can also remain a dangerous place to be. Usually when you see an accident scene, emergency crews have already arrived and helped the victims. If it’s on the highway, it’s likely that at least one lane has re-opened for thru traffic. But there are always a select few drivers who witnessed the crash, and those people must live with those images in their mind. 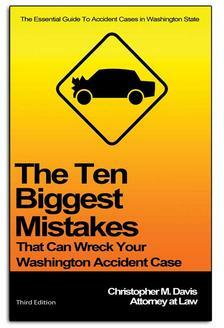 There’s no exact playbook to follow if you witness an accident occur. Some people won’t know how they’ll react to a crash until they’ve seen one. Maybe you’ll hop into action heroically, or perhaps you’ll freeze up. Some people are worried about how their actions will affect the victims or the crime scene. Here’s some helpful tips for you in the event you witness a car accident. Even if your first instinct is to rush and help the victims of the wreck, make sure you’re safe first. If you were driving at the time of the accident, try to keep your attention focused on the roadway and find a safe place to pull over slowly. Park your vehicle as far off the road as possible and far enough away from the wreckage to ensure your own safety. Each year, thousands of people are seriously injured on U.S. highways when their cars are parked on the shoulder. Don’t become a statistic. Use common sense and be aware that other drivers may have trouble seeing you. While you may still have the urge to help immediately, before you do anything else, call 911. Even if other people are already on the scene, do not assume they’ve called 911. Police and emergency crews need to know about each accident in order in provide relief, adjust traffic services and clear debris. When you call 911, let them know the location of the accident, how many people are involved, the types of vehicles, as well as any other details you can think of. If it appears to be a minor collision with no injuries, tell the operator. If it appears very serious, say that as well. This step will of course be nerve-wracking and stressful. Don’t worry – that’s perfectly normal. Approach the scene of the accident with caution and look for any victims. If they are responsive, ask if they need help exiting. If an injured person does not appear to be in immediate danger, it’s best to not move them. If you do have to move them, attempt to secure their head and neck before doing so. In Washington State, Good Samaritan law protects anyone who gives aid or assistance to another during an emergency without expecting to be compensated for his or her actions and who is not considered to be a medical professional (RCW 4.24.300). These are everyday people, like you, that are just trying to help. You cannot be held liable for damages unless your actions constitute gross negligence or willful misconduct. Once you’ve provided some basic care, wait with the victims until emergency personnel arrive. Once they’re on the scene, get out of the way and let them do their jobs. When the police arrive, they may question you as to what you have witnessed. Tell the truth. If you didn’t see the whole accident, don’t lie and convince yourself what might have happened. If for some reason you must leave before the police arrive, you can contact the local police station and give your statement over the phone. Thankfully, Washington State protects Good Samaritans and their willingness to help in the time of need. People who witness an accident and want to act should not be worried about potential criminal charges or liability issues at the scene. You have immunity to act in a smart and responsible manner, and thousands of people are saved each year because of the actions of witnesses. If you or a loved one has been injured in an accident in Washington state, contact award-winning car accident attorney Chris Davis and the experienced legal team at Davis Law Group, P.S., today. Call (206) 727-4000, use the chat feature below or fill out the contact form on this page for a free case evaluation.